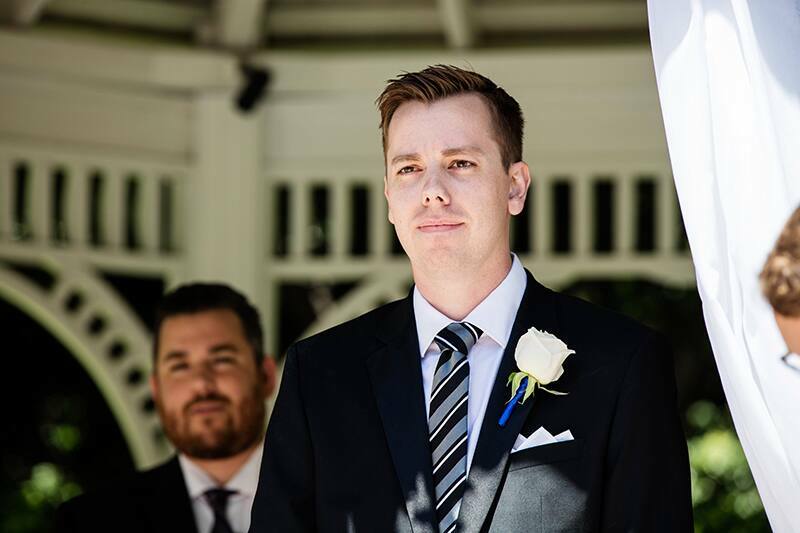 As Brad sat in a college lecture, he spotted a girl across the room that he just had to meet. 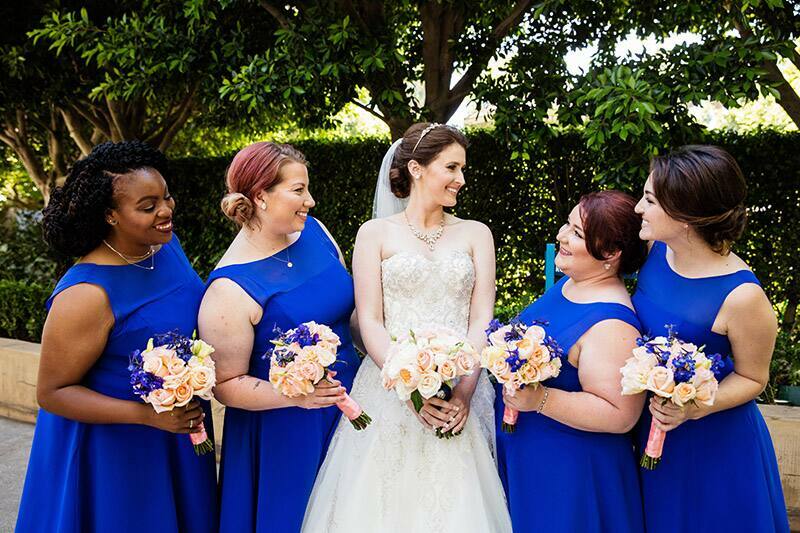 After a few failed attempts to find out her name and talk to her, he finally connected with Jennifer though social media. 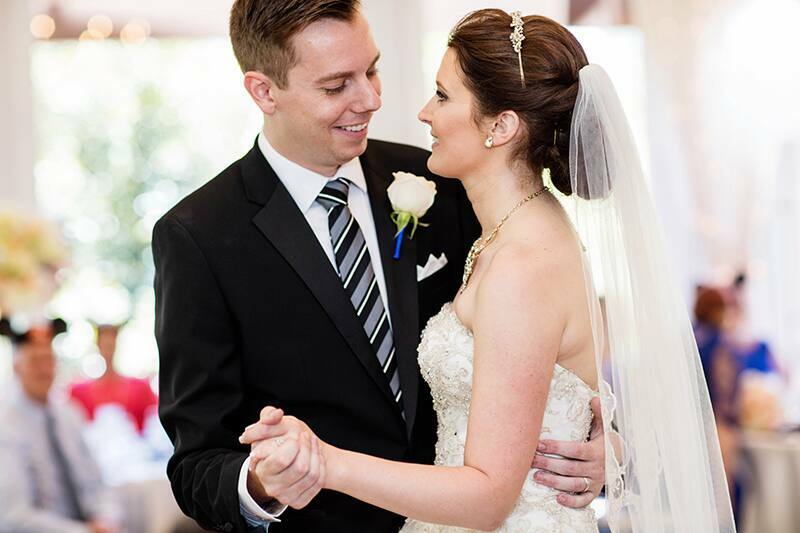 The two decided to meet for burgers, but hardly touch their food having spent hours just talking and ultimately, falling in love. 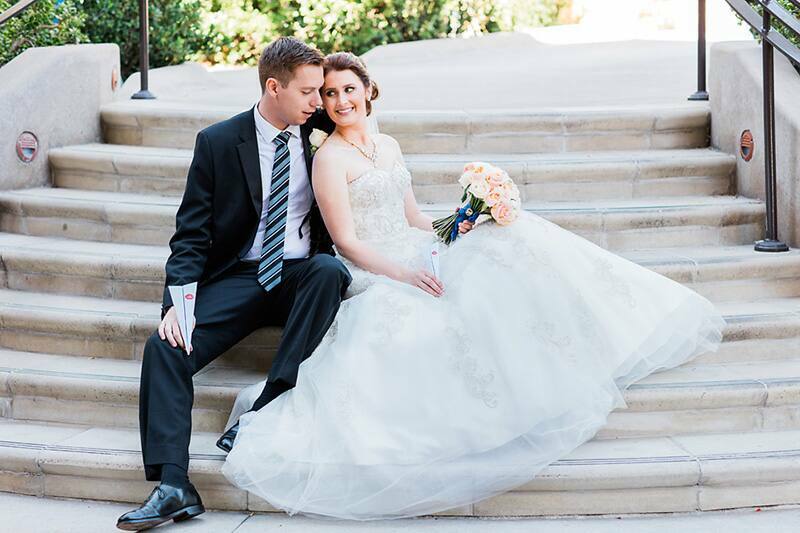 On an anniversary trip to Disneyland Resort, Brad popped the question and asked Jennifer to spend the rest of her life with him. 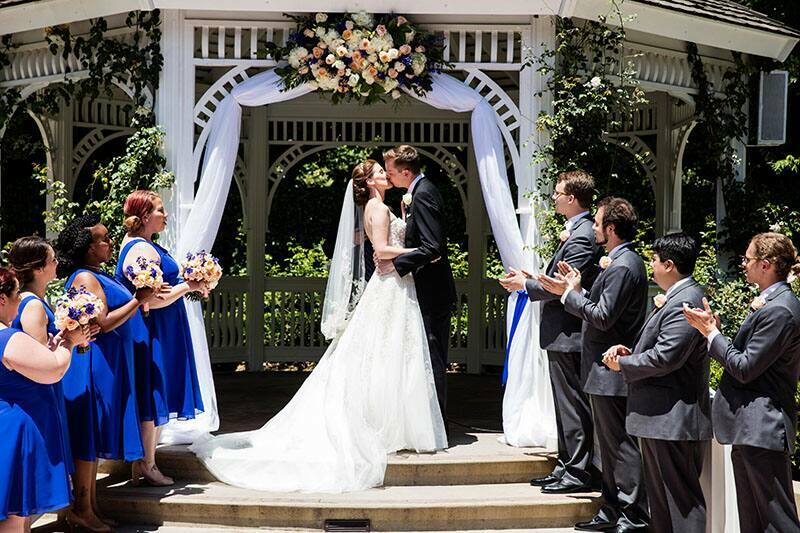 She said, "yes" as a Disney PhotoPass photographer captured the unforgettable moment. 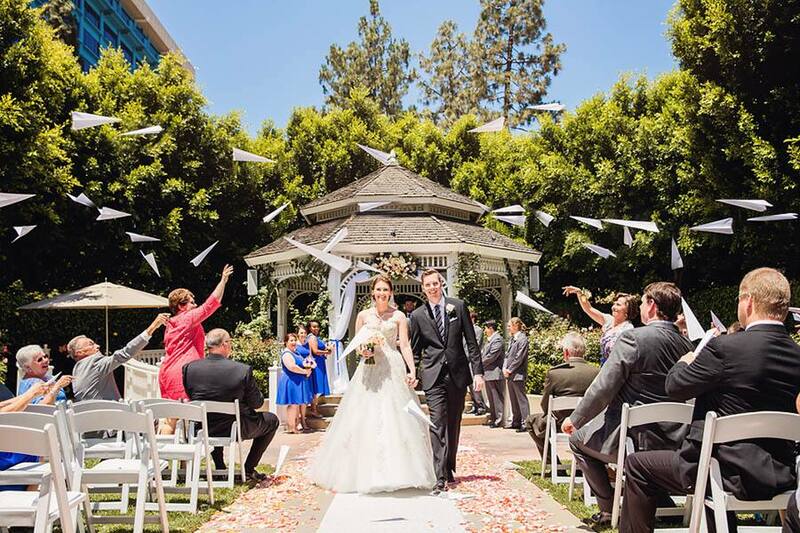 The couple resonated with the Disney short film, Paperman, which portrays a similar love story to their own. 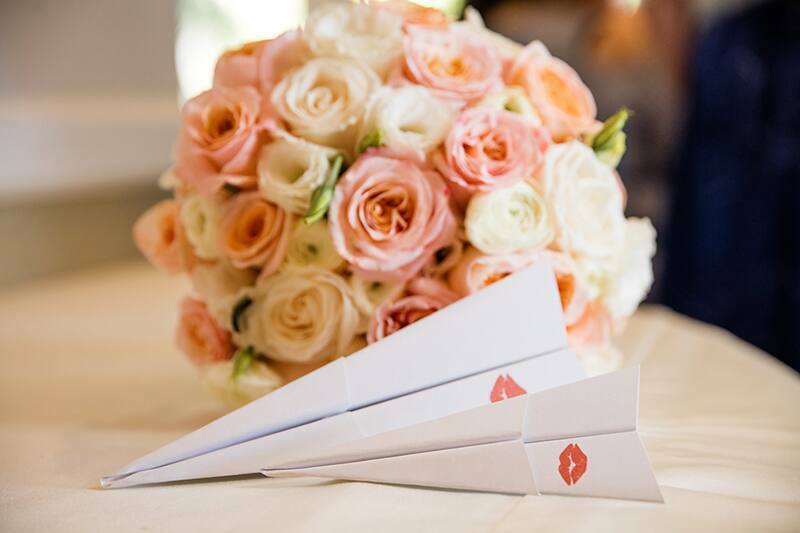 A hopeless romantic seeks the attention of a beautiful young girl using paper airplanes, only in Brad and Jennifer's case it was the internet! 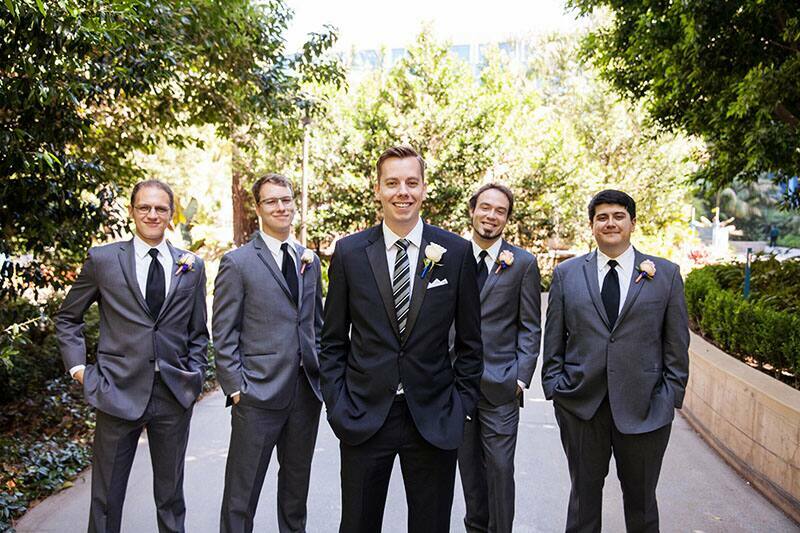 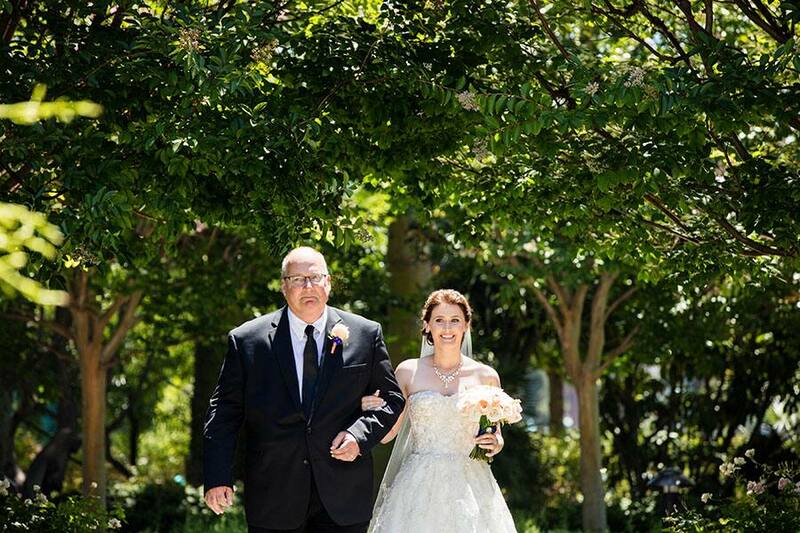 The bride shared, "I always loved that short because it reminds me of the hoops Brad jumped through to meet me, and how he didn't ask at first when he had the chance." 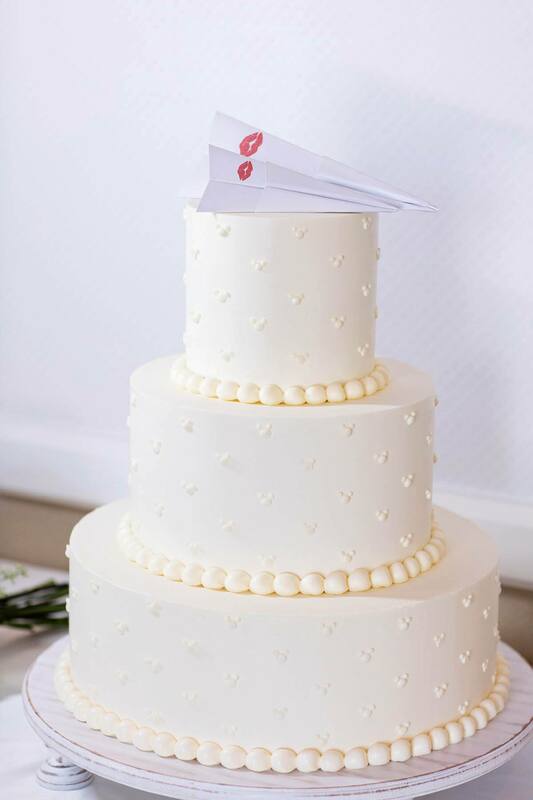 Inspired by the film, they planned a beautiful Paperman engagement session and chose to carry on with the romantic theme for their big day. 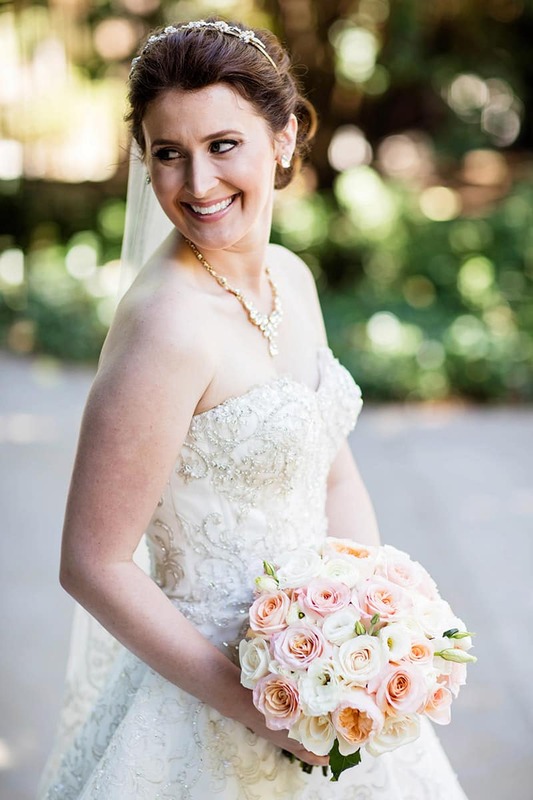 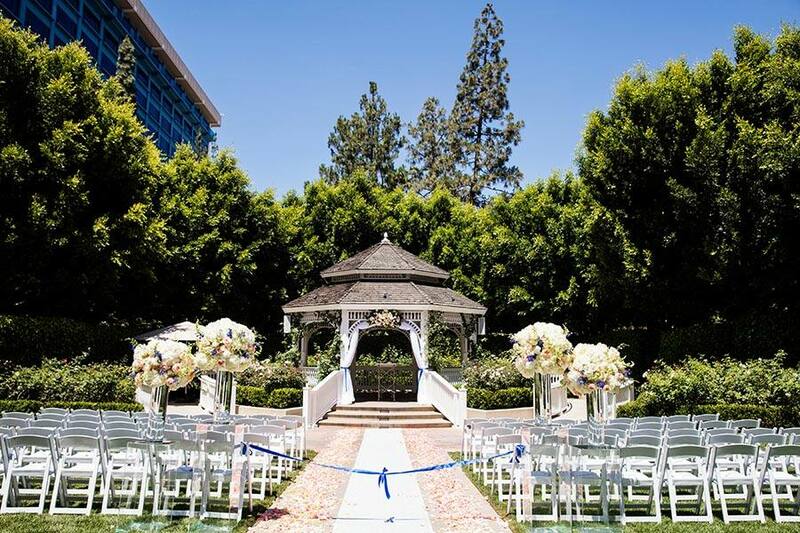 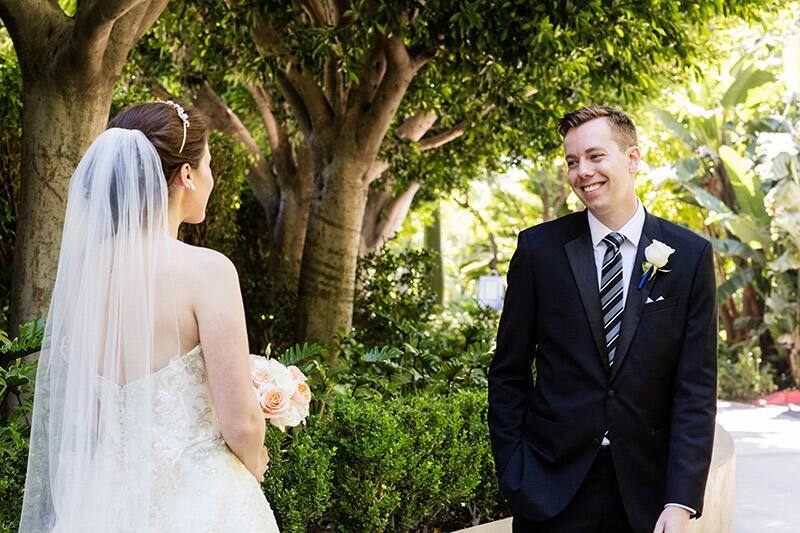 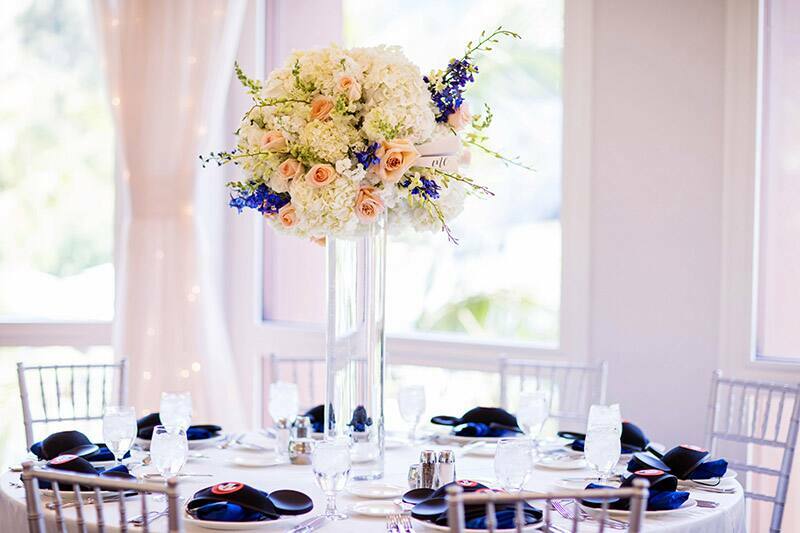 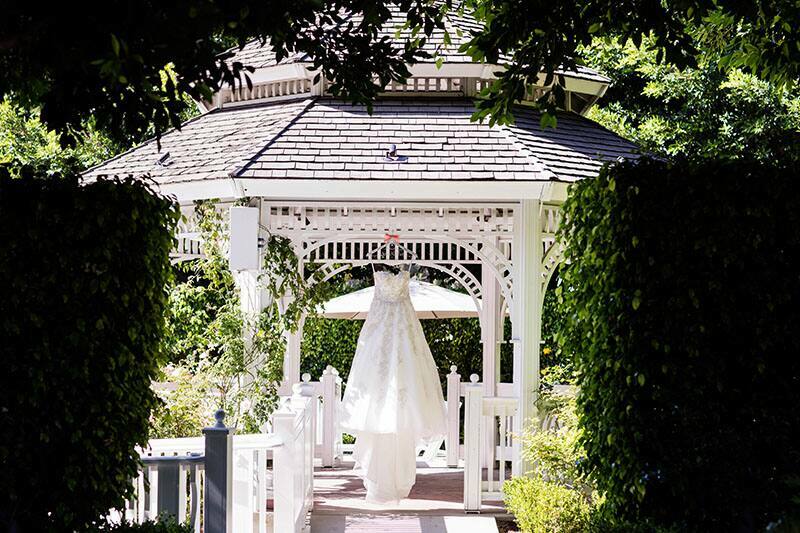 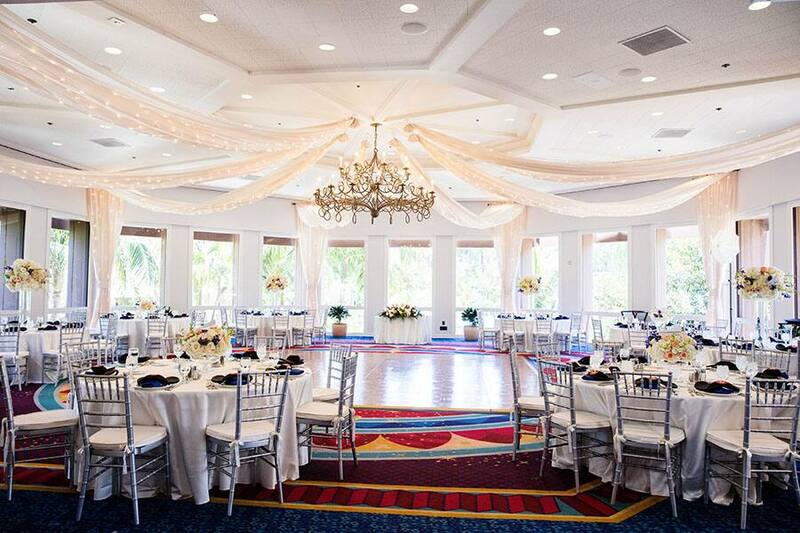 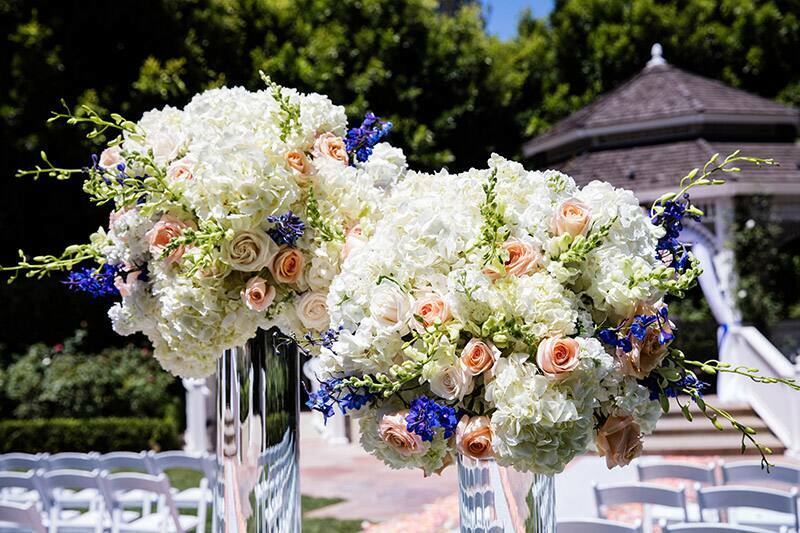 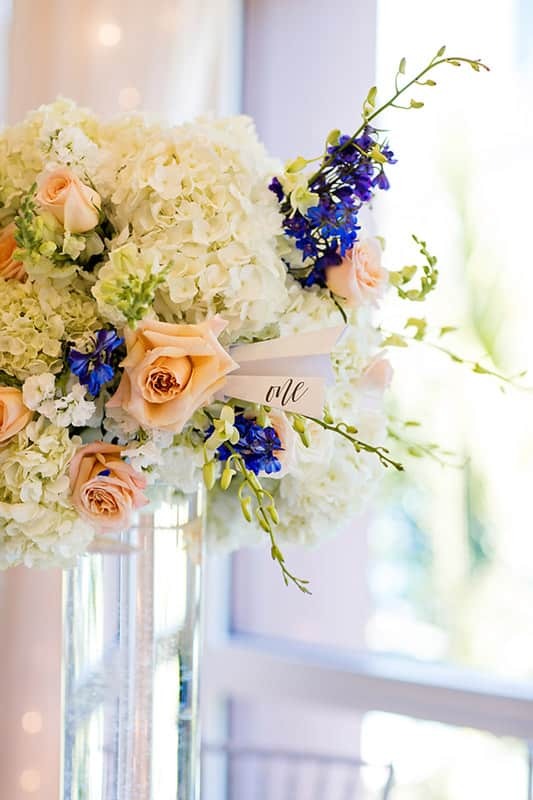 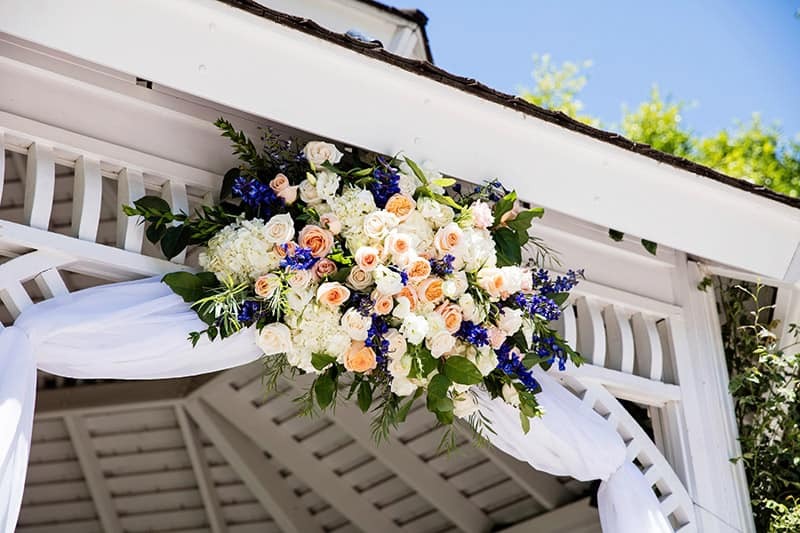 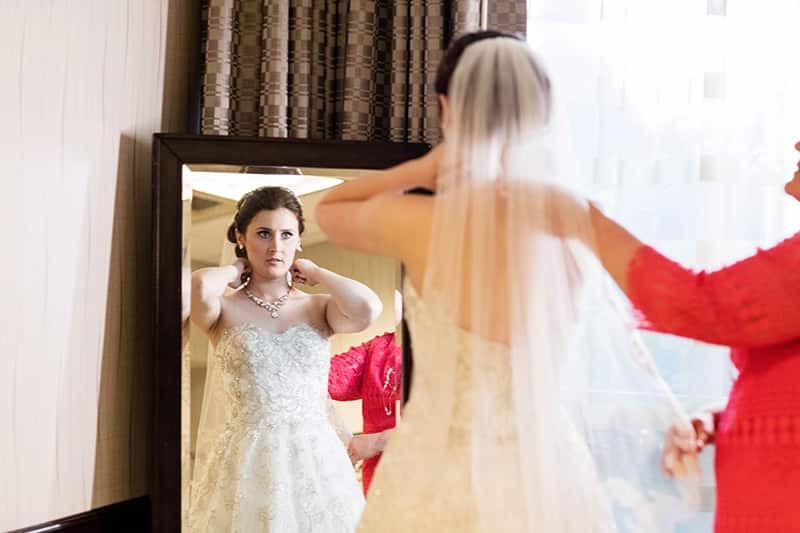 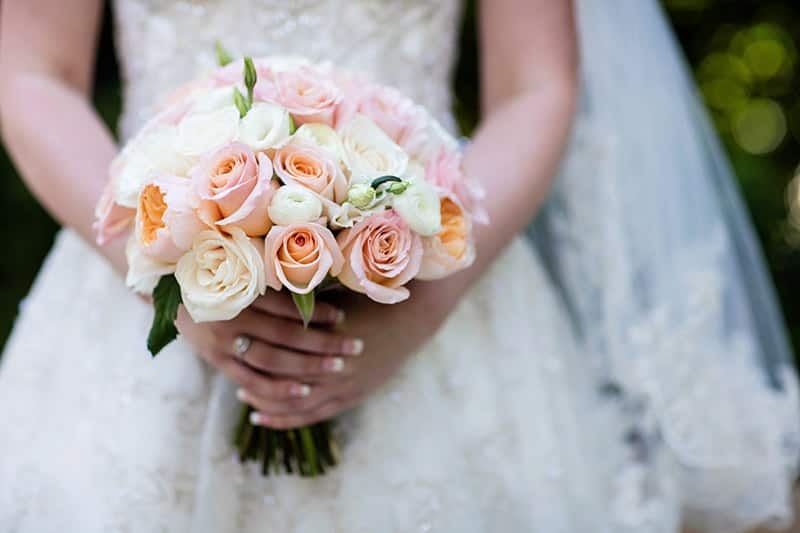 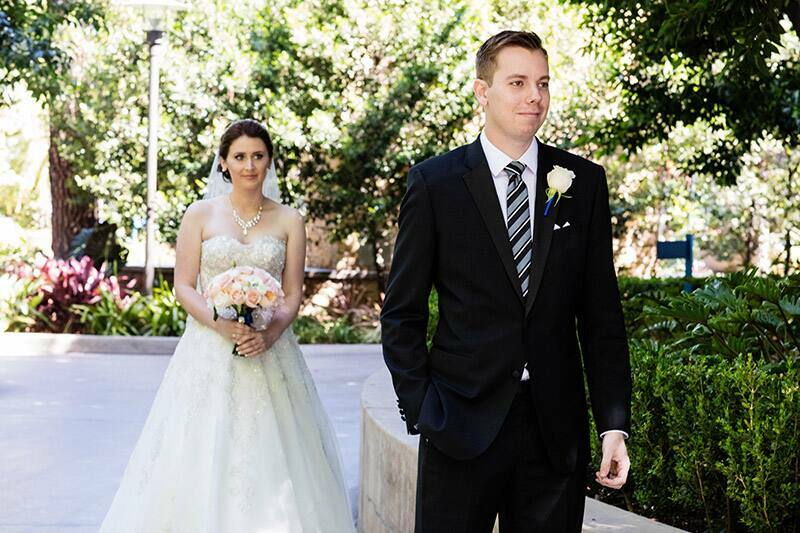 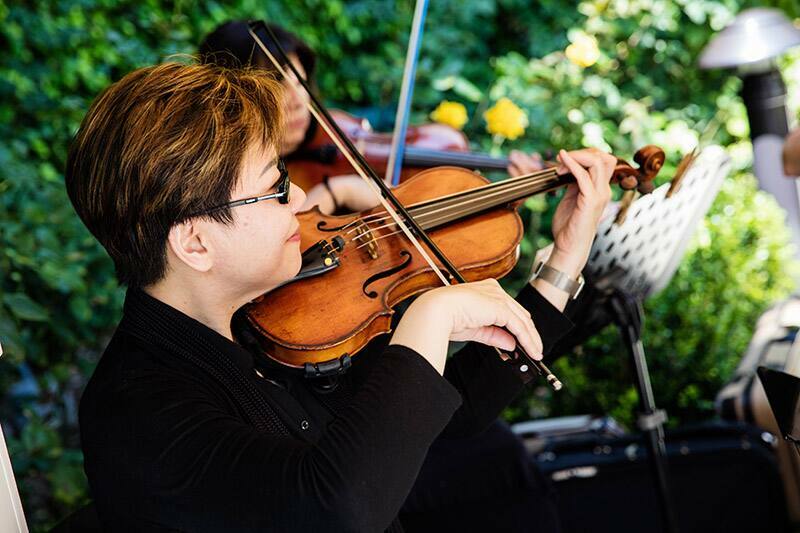 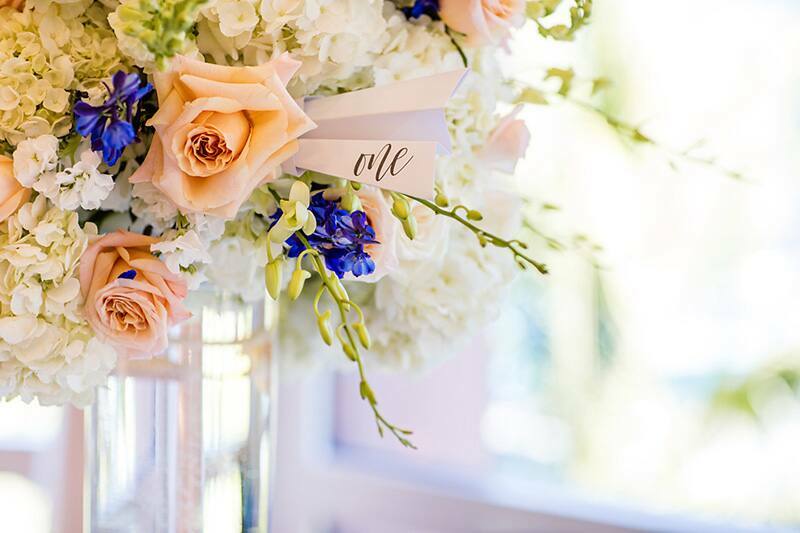 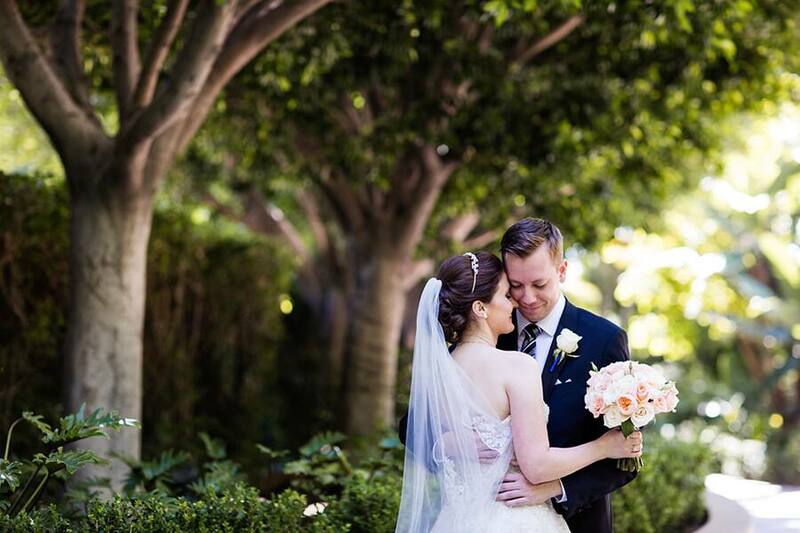 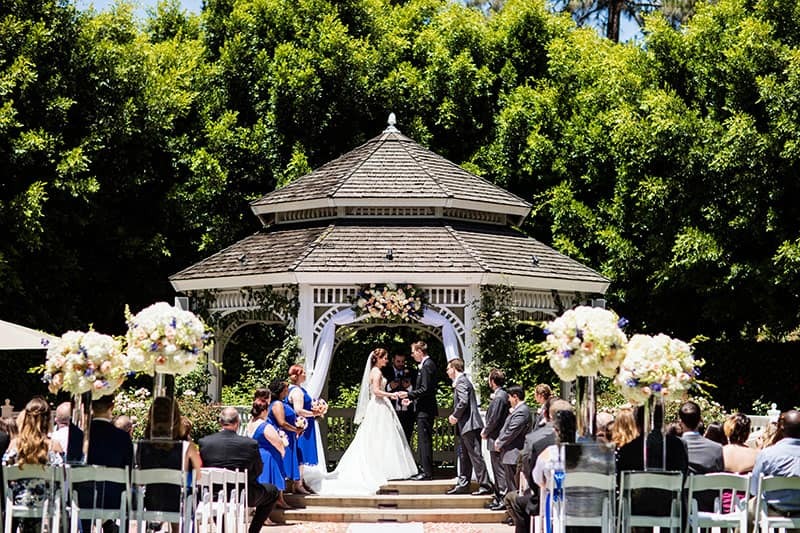 With dreams of having a Disney's Fairy Tale Wedding since the age of 10, Jennifer's wishes came true with a elegant celebration in the Rose Court Garden at Disneyland Resort and the Sleeping Beauty Pavilion. 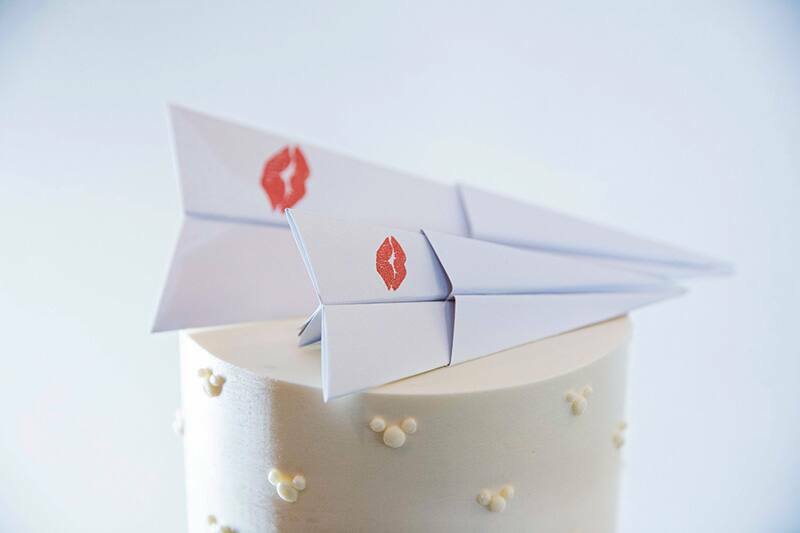 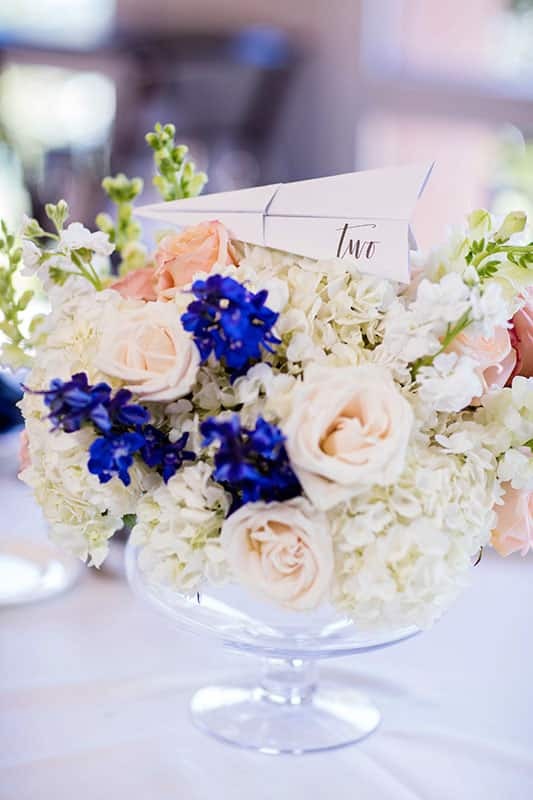 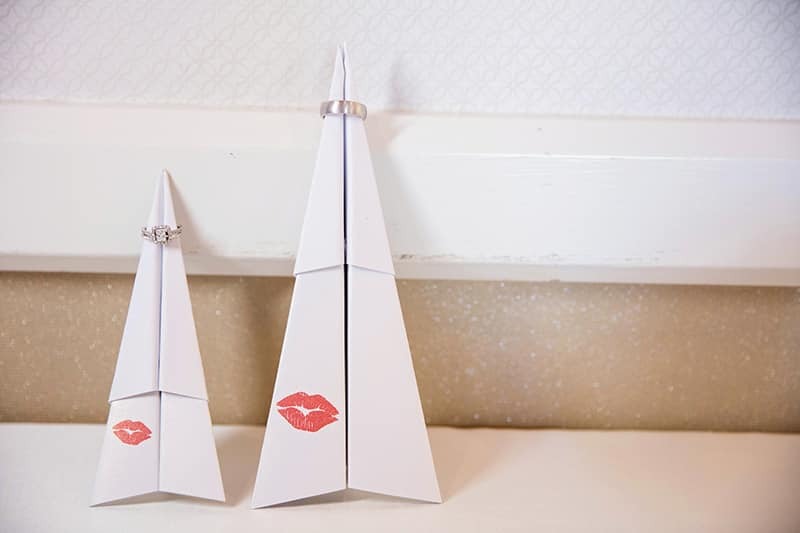 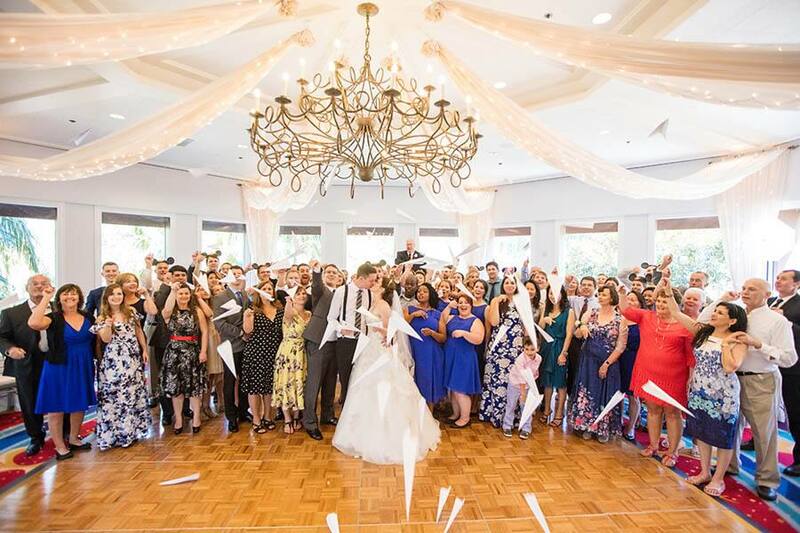 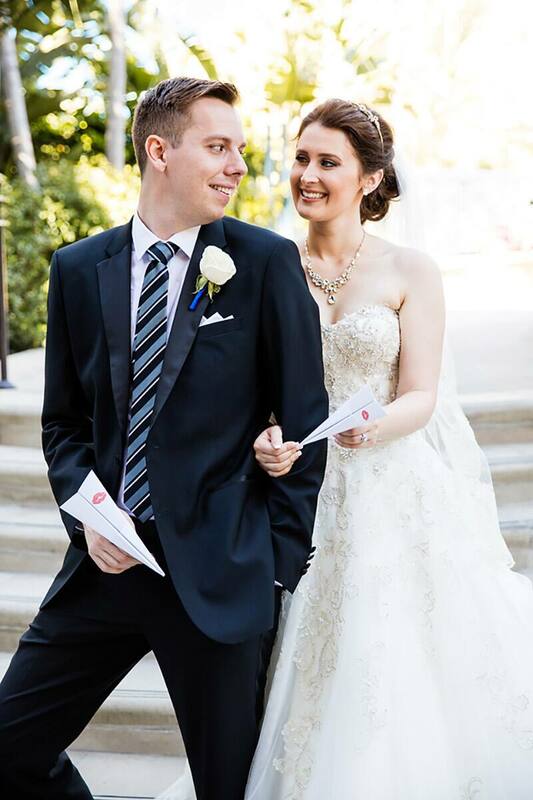 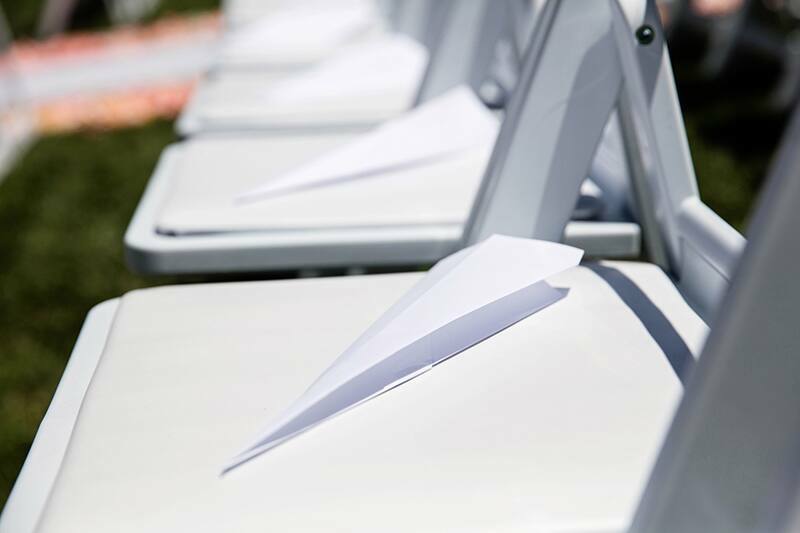 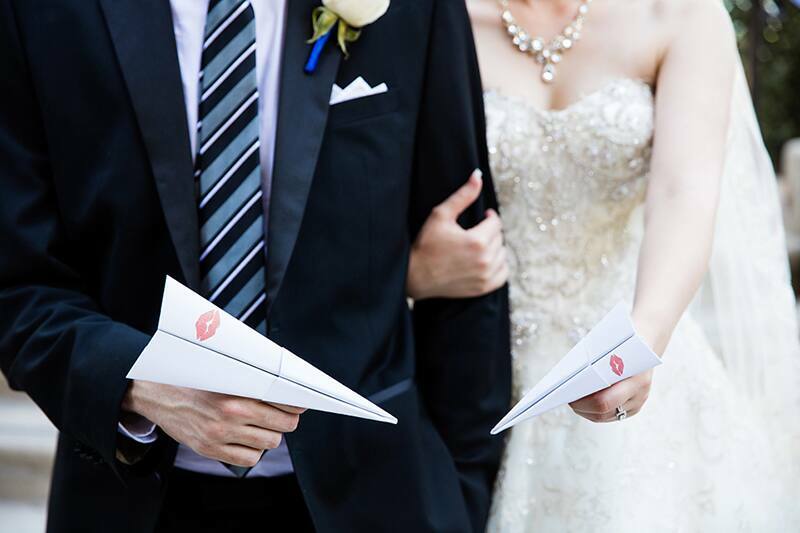 From the ceremony to the reception, the iconic paper airplane made its way into their special day, making for the ultimate real-life Paperman love story.